If you’re travelling or living abroad but you’re originally from the UK, watching UK TV abroad is one of the ultimate goals. 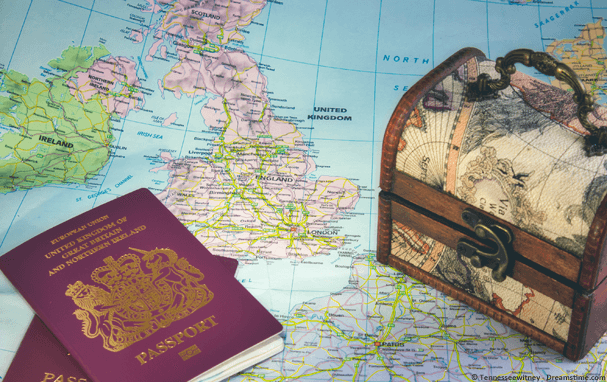 Most people love travelling, be it holidays or longer stays, some of you will have even have left the UK for good. Although travelling and living abroad is a great experience, most of us still miss quality UK TV. There are a range of UK TV services both free and paid for that now stream live online. With catch up TV also, a huge library of British TV programmes are available to view on the internet. The problem with this is they’re only viewable online if you live in the UK. If you’ve ever tried to watch a British programme outside the UK you’ll have seen the dreaded, “Not available in your location” message. In this guide I’ll be showing you how you can watch your favourite UK TV abroad from any country in the world and beat the block. The good news is UK TV can be accessed abroad with a simple tool called a VPN (Virtual Private Network). 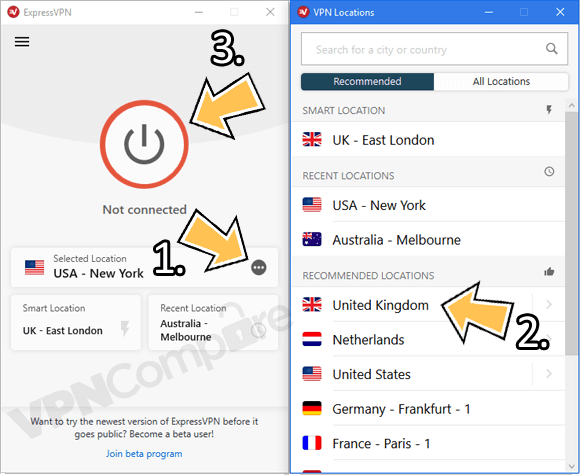 A VPN is a small app that you install on your computer (or tablet or phone) and it allows you to give the impression you’re in another location. When using a VPN you’re seen as if you’re in the UK even if in reality you’re on the other side of the world. It doesn’t actually matter what country you’re in because this works from any. The good news is, although VPN services cost money, once you’ve got one service, you’ll be able to access most of the UK TV streaming sites. This includes BBC iPlayer, ITV Hub, All 4, Demand 5, Sky Go, BT Sport and a whole host of other UK online streaming services. For the amount of content you can access the prices are extremely cheap. Which VPN provider is best for the job? A good VPN app from a top service provider such as ExpressVPN will cost you a couple of pounds per month. They’re always charged in US Dollars and it’s worth taking a yearly package because they work out much cheaper than paying monthly, up to 50% cheaper in most cases. To gain access to all the services above, in my opinion it is well worth it. I’m all for embracing other countries and cultures, but one thing I usually miss are certain UK TV programmes. There is a huge choice when it comes to VPN providers and some are better than others. Over the years we’ve had the luxury of being able to test some of the best. Streaming video requires a fast VPN service and the further you are from the UK the better it needs to be. The three below providers are our recommended choices for watching UK TV from abroad. Once you’ve signed up to a service, you install their app on your computer, laptop, tablet or phone. You then simply connect to a server in the UK. This creates a secure connection between yourself and the VPN provider, your connection then flows through this connection and out on to the internet. Anything you access then comes back the opposite way, with the sites you’re accessing seeing a UK connection. Using ExpressVPN allows you to watch UK TV. It really doesn’t matter where you are in the world or how you’re accessing the internet, it will work regardless of location. So if you’re in a caravan in France, backpacking in South East Asia or living in Australia, the solution is fine for all situations. That’s all there is to it, no complicated set-up, no technical know how. Regardless of the type of device, all the providers listed offer easy to use software or apps that can be installed from the Google Play store or Apple store. You’ll now be able to watch UK TV abroad without any issues. The easiest way to watch UK TV abroad is to do so on your computer or a laptop. You’ll need a VPN app from ExpressVPN but once you’ve signed up you don’t need any additional apps. ExpressVPN supports all Windows and Mac computers so it doesn’t really matter what type of computer you’ve got. Once you’ve signed up, download their app and connect to the UK. When you’re connected you can use the UK TV streaming websites like iPlayer, ITV Hub and more to watch UK TV abroad on your computer. If you prefer to watch on your mobile phone or tablet then you can do this too. You’ll still need a VPN app from ExpressVPN and then you can use any of the UK TV apps on your phone or tablet to watch. Sign up for ExpressVPN and download their app from your usual app store. Then connect to the UK. Once you’re connected open up any of the UK TV apps and you’ll be able to watch anywhere in the world. Can I watch UK TV abroad on a TV? There’s nothing better than watching TV on the sofa on a proper TV no matter where you are in the world. For this the best way to achieve that is to buy an Amazon Fire TV Stick and you can do so right here. It’s a small media box that plugs into the back of your TV. You’ll also need a VPN app from ExpressVPN. You can then download it onto your Amazon Fire TV Stick. This will allow you to unblock all the UK TV streaming apps outside the UK and watch on your TV. It works with all the apps including ITV Hub, Channel 5, TV Player for live TV, Dave and a whole host more. You can also watch BBC iPlayer abroad through a web-browser on the Fire TV Stick either using Silk Browser (Internet) or Firefox.